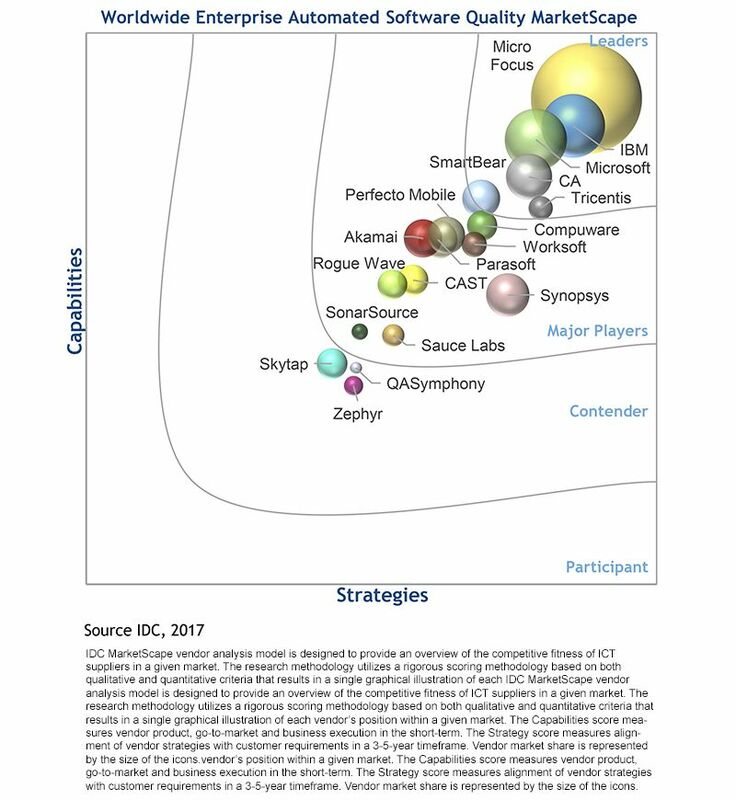 We’re pleased to announce that Micro Focus has been named a Leader in the IDC MarketScape: Worldwide Enterprise Automated Software Quality 2017–2018 Vendor Assessment (doc #US41601117e, December 2017). The report examines Automated Software Quality (ASQ) adoption patterns and trends and how they are impacting business success through the development of high-quality, well-performing, and secure software. As enterprises deploy applications across mixed environments — from web to mobile to cloud to IoT at agile speeds, organizations need a diverse approach to quality and to software deployment. Download an excerpt of this report to understand the IDC MarketScape’s opinion on the ASQ market and a vendor review of Micro Focus’ capabilities that help drive business optimization via DevOps with continuous testing and integration.